The New Zealand Herald reported …. “A 12-year-old girl hiding in a kindergarten after midnight was bitten by a police dog when she did not respond to an officer’s calls. 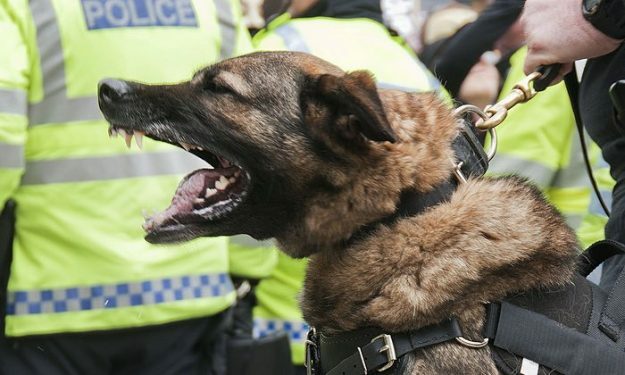 The child was one of 29 youths to have police dogs used against them in just six months, a statistic the Children’s Commissioner says is “surprising” and the Maori Party says is “completely unacceptable”. Tactical Operations police data obtained by the Herald on Sunday shows youths made up 20 per cent of incidents where dogs were used. Of those youths, more than 60 per cent stated their ethnicity as Maori. In general, Maori were 12 times as likely to face a dog as Pakeha. Now these are absolutely socking statistics esp in light of the fact that Maori only make up approximately 15% of the population! I see several factors are at play. It may surprise some readers that though I am a Libertarian, I don’t hesitate to join chorus with my political antagonists the Maori Party in leveling heavy condemnation against the Police for their atrocious unprofessionalism with regards to their use of gratuitous violence. There is virtually no excuse to release your attack dog on children of any race. Wearing a badge is no excuse for such horrific behavior reminiscent of the very worst dictatorships. Nanny State has corrupted the Police force by denying the principles of Individual Rights and Liberties, and the fact that the State is not our Master… but our servants. Read how Legalized force attracts Thugs and Bullies …Here. 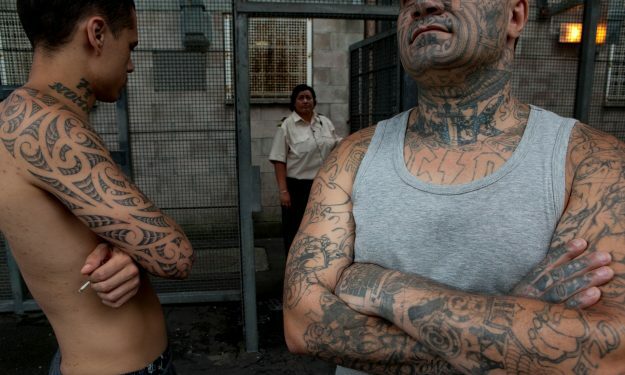 Yet an even greater condemnation must be leveled at the Maori party themselves and their Co-conspirators in National, Labour, and the Greens all of whom have an even more fundamental culpability in these atrocious statistics than the police do. The truth is that even after we taken due consideration of the detrimental affects of terrible policing into account… we are still left with the stark fact that the ongoing state of Maori criminality is flourishing under decades of politically manufactured conditions that were supposed to alleviate them! 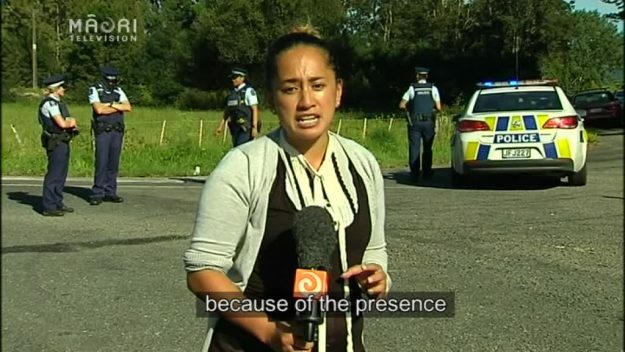 In fact *The Police themselves* undoubtedly have their side of the story to tell of Rampant Juvenile delinquency and crime from Maori Youth and Adults completely out of proportion to their numerical presence. The Police are at the Blunt end of decades of atrocious parenting by Maori, an absolutely shocking lack of teaching and mentoring of personal ethics, leading to Inter-generational criminality…. all fostered by a Multi-billion dollar failure of Political social engineering. In what alternate reality do academics exist in which they expect to gain positive social outcomes from teaching Maori Boys to take pride in themselves as being ‘Staunch Warriors’,yet also that they and their people are the victims of systemic Pakeha Greed and oppression? What you get is poisoned violent and hateful minds… full of blame and a desire for UTU. Exactly the political capital you want if your aims are to foster separatism and grievance rather than Social harmony. We cannot expect the Maori or Mana party to change their stripes yet I ask at what point will socialists of both National and Labour admit their social experiments on Maori dont work but actually make life much worse? By what yardstick… if even Pragmatic experience let alone Just principles have not sufficient weight for them to realise their socialism does not improve the living standards of the underclass… but only serves to ensnare them in greater dependence … and corrodes self reliance and self responsibility like a potent Caustic? Do they even give a damn? I suspect the only thing they really care about is keeping hold of political power at any price! Only via Blind stupidity and a malevolent hatred for Freedom, and capitalism can Centerist leaning socialists of both the left and right continue to peddle there failed policies and erroneous ideology. Rampant Nanny State Socialism had been picking up momentum for many many decades before I took an interest in politics. Yet even as a novice in things political I could see huge problems from having suffered first hand the evils of Nanny State… and intuitively began my quest for more freedom, less Government. Prime Minister Helen Clark said today that the government’s determination to close the economic and social gaps which have developed between Mäori and Pacific people and other New Zealanders, is vividly reflected in the Budget. “The government has identified these gaps as one of the greatest challenges facing the country,” Helen Clark said. “Unless we start addressing this problem we will permanently consign a section of our people to the economic scrapheap, and risk a breakdown of social order and cohesion. 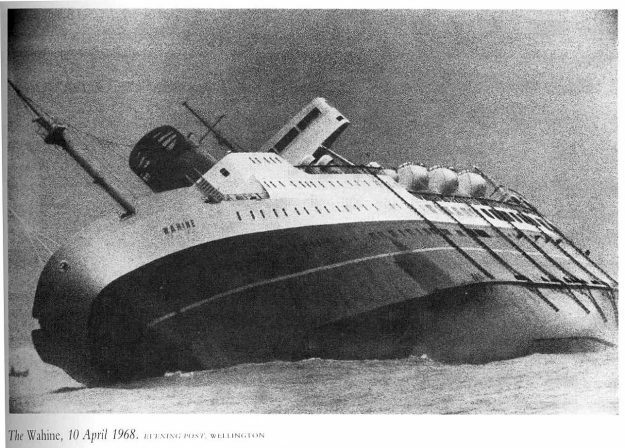 All along My Libertarian Colleagues and my self warned of the ship wreak that inevitability lay ahead by continuing on these co ordinates… We knew it with certainty…. and we despaired for the suffering we knew must befall those vulnerable people targeted by this race based Nanny statism… yet we were painted by the Media and others as heartless because we refused to endorse welfarism, and Special treatment for Maori… yet Reality has vindicate us… we were right… and our warnings were benevolent… and those pretending to be the ‘Caring ones’… have proven to be 100% failures… and of malevolent hearts because they refuse to change course in the face of overwhelming evidence that Socialism is Bankrupt. All this Institutional racism that comes from a political class of activist Maori wracked with a sadistic Racist bigotry… and their sympathetic opposite… a faction of masochistic Pakeha in the mainstream parties that impose a collective guilt trip on the bulk of New Zealanders who are in reality guilty of nothing more than being born Non-Maori… and whom are expected to be contented with being rendered second class citizens. The Irony is that all this political dis-advantage leveled against Pakeha is that it has tended to make them much less reliant on the State than Maori… more self-reliant… more self-responsible… and thereby far healthier… far better standards of living… far more personal success… and far less criminal… thus far less likely to suffer at the hands of a dysfunctional Police force that has lost its way… on so many levels. The Socialist recipe of positive discrimination for Maori may have gotten them their own State TV Stations, Their own Universities and Polyteks, They may even have control of great Economic powerhouses like fisheries and Shopping malls… which of course brings wealth to tribal and political elites… Yet down where the ordinary people dwell the story is completely different. The Victim mindset that Maori are being spoon fed by their political class from above whom profit from the growing racial segregation and grievance industry … drizzled with copious helpings of a sence of entitlement for the un-earned… topped off with the Poison Cherry of being molly coddled via legal favoritism… massive special interest bureaucracies, and easier access to Government handouts… has not closed the Gaps… but entrenched them in misery! The truth is being taught that your lowly condition has nothing to do with your personal ethics and responsibility… and instead the system encourages Blame and makes it easier to get access to and become dependent upon welfare, etc only serves to guarantee those ordinary Maori who buy into all the rubbish about being oppressed… will never lift themselves out of the hole they are in… and where poverty and lack of the ethics of self responsibility have become a cultural norm… We can absolutely predict with mathematical precision that Criminality will thrive there. And this is precisely what we see in the Statistics. This is what the Statistics prove. Maori TV is nothing more than a propaganda machine designed to keep Maori ensnared as pawns in the games being played by the vile racists and Professional griever Lobbyists whom capitalise from maintaining Racial division and tensions. The only way to reverse this downward spiral for Maori, and save their Children from the vicious Jaws of Police Hell hounds and Thugs in Uniforms is not merely to retrain the Police… throwing out the Unfit personality types that now infest the force…But most importantly to Reverse *all the Nanny state Socialist Laws and institutions* that must in turn be substituted with an ethos of self- reliance and responsibility on equal terms with everyone else … absolutely smashing the toxic policies of Dependence and grievance. Socialism is an absolute Failure! Socialism is an Evil Political Scam! Yet we can guarantee that the Socialists in Politics and the vested interest employed in their engines of State will *never admit* that their policies are harming Maori, or that Freedom and Equality before the law will provide the optimum social environment for Maori to work their own way up and out of this Socially engineered trap they have been led into. The ultimate charade about socialism is their claim of being an Ideology for those with caring hearts! In reality Socialism is a hotbed of Special interest of the lowest character… coming from a Malevolent hatred of personal freedom and responsibility and Capitalism. Socialists are Crack addicted to political power and Nanny State coercion esp over the economic sphere… while maintaining a pretension of caring for the underclass. Little wonder as Satan himself appears to the gullible as an Angel of light. Maori are not a victim of Pakeha Greed… But of the Greed and malice of their own Political Class! Its time to end all the racial separatism and Nannyism! Not only for Justices sake… but for the sake of the Next Generations of Maori… and New Zealanders as whole whom suffer the effects of a Maori Crime wave, and expense of out of control welfare dependency. If you are not moved by the facts to abandon Treaty separatism and Nanny state welfarism and coercion you can have no claim to either the moral high ground or pragmatic Humanity. That ground clearly belongs (as it always has) to the Libertarians…the advocates of Racial Equality before the Law… and more Freedom, and less Government. Libertraianism is a socially concerned political ideology that understands there are no political short cuts… no conflict between just principle and the best pragmatic outcomes… and that he who truly governs best… governs least. Maori,Pakeha, Engineer, and Christian Libertarian. P.S… I could go on and on about how Nanny state destroys lives. Eg We could discuss how the war on Drugs is so disproportionately detrimental to Maori yet ironically their Political class are again at the forefront of maintaining and extending the oppressive war that criminalizes people and causes them to despise the Law, and society. So there are plenty of injustices to rise against… yet they have nothing to do with institutional racism *against Maori*. Like most socialist tyranny it is sold under the pretense of being for our own good. Great items from you, man. I’ve keep in mind your stuff previous to and you are simply too fantastic.